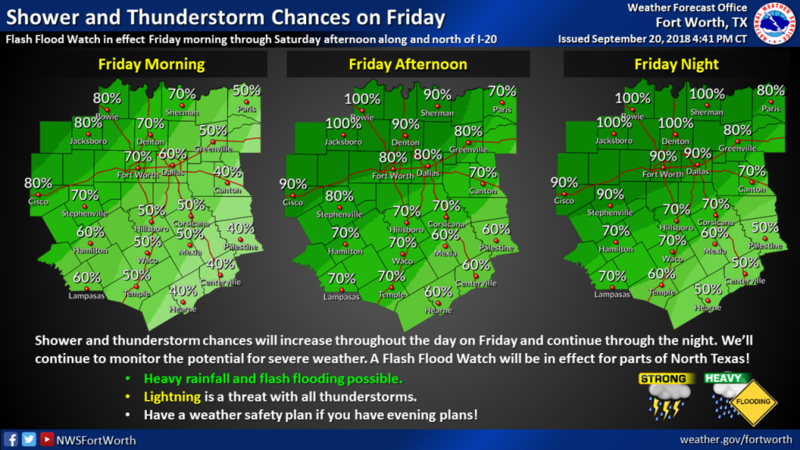 Here’s a look at shower/storm chances for Friday. Heavy rain & flash flooding will be possible. Plan extra time for your morning/afternoon commute & drive with caution! 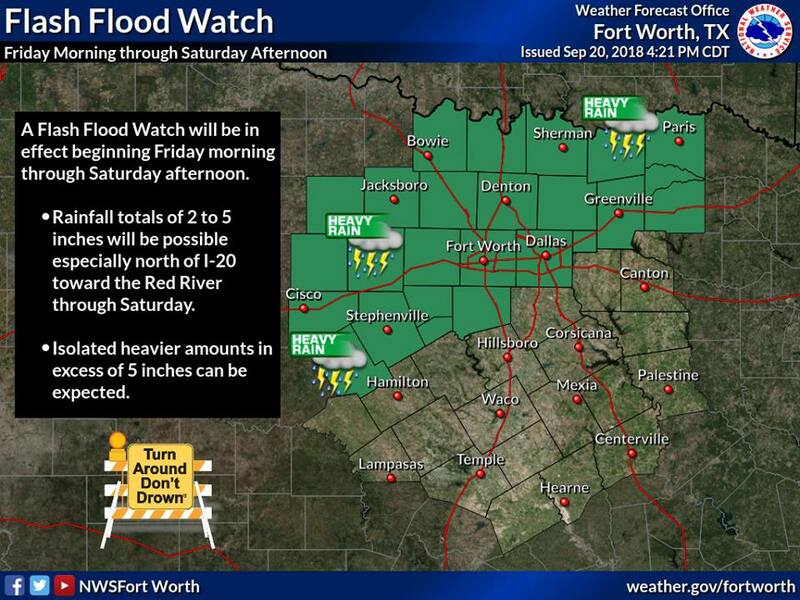 A Flash Flood Watch is in effect Friday morning through Saturday afternoon.